J. Brent Parham at his MSc thesis defense in Boston University, December 2013. Brent was a Lincoln Scholar at Boston University supervised by Prof. Lorena Barba. He defended his MSc thesis in December 2013, and returns to work full-time at MIT Lincoln Labs in 2014. 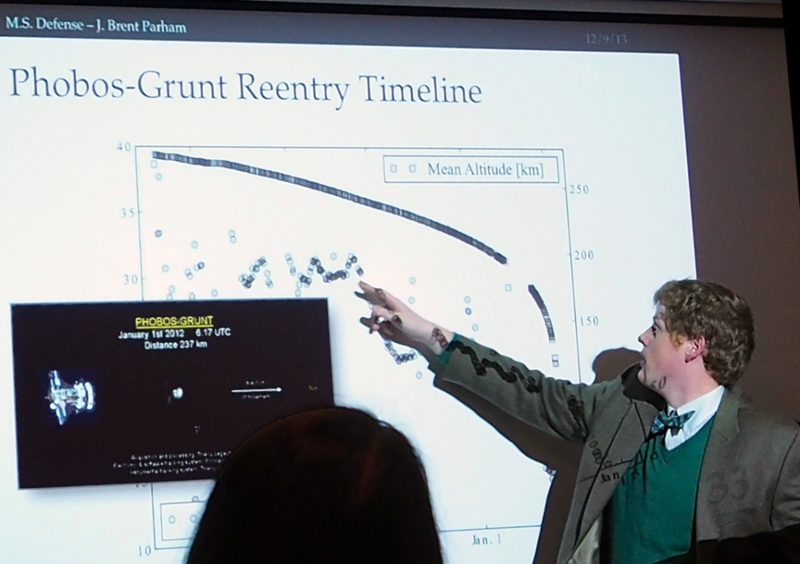 At MIT Lincoln Laboratory, Brent will be using the work he did in the Barba group to better understand and track the orbital-debris population in Low Earth Orbit. He will continue research in this area—in hopes of making sure that space can remain a safe resource for the future!